“Water is one of the most basic of all needs – we cannot live for more than a few days without it. And yet, most people take water for granted. We waste water needlessly and don’t realize that clean water is a very limited resource. More than 1 billion people around the world have no access to safe, clean drinking water, and over 2.5 billion do not have adequate sanitation service. Over 2 million people die each year because of unsafe water – and most of them are children,” according to Robert Alan Aurthur, an American screenwriter. As important as water is in human life, access to this commodity must be a policy priority for every government. 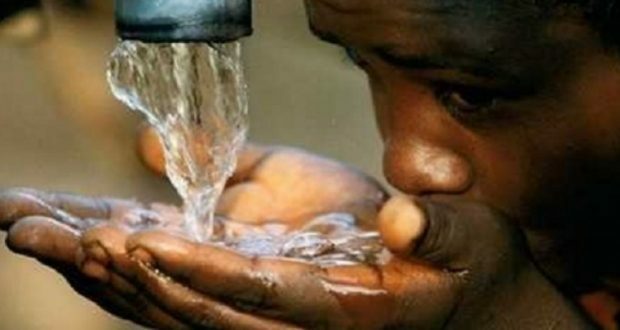 Ghana has made significant strides in the area of water coverage to it citizens, as the State was able achieve its Millennium Development Goal (MDG) water target about a decade before the 2015 deadline. As the world shifts focus to achieving sustainable universal water coverage, experts say, there is the need for Ghana to redouble its efforts to keep up this feat. The United Nations Development Programme (UNDP) has indicated that about 2.6 billion people worldwide have gained access to drinking water sources since 1990 and the proportion of the population using improved water sources has increased from 76 per cent to 91 percent. According to the United State Agency for International Development (USAID) indicates that about eighty percent of the population in Ghana have access to safe water, a development they consider as a huge success comparing the number of people who had access to safe water in 2014. Urban coverage stands at 76 percent leaving 24 percent still unserved and rural coverage stands at 53 percent leaving 47 percent unserved according to the Parliamentary Select Committee on Works and Housing. The committee reports that though the country has made significant progress in the provision of safe drinking water, much more has to be done as some areas still remains unserved and under served with safe water. Again, data from the Ghana Multiple Indicator cluster survey 2017/2018 indicates that Eight in every ten household population in the country are using basic drinking water service, while urban dwellers are 11 percent more likely to have access to improved water services than rural population. The successes chalked over the years appear to be threatened by ineffective strategies for ensuring human right to water, unbridled pollution of freshwater resources as well as poor environmental sanitation across the country. Without a paradigm shift, these could potentially derail efforts at achieving and sustaining universal water coverage. It is to highlight the positives and possibly address the challenges in the Water sector that the United Nations set aside March 22, of every year to celebrate World Water DAY. The overwhelming precedence placed on water was the reason world leaders adopted the 17 Sustainable Development Goals (SDG’s) and their 169 targets at the United Nations Sustainable Development Summit on September 25 in New York. The SDG’s are particularly meant to enable people in all countries to benefit from socio-economic development including access to safe water and sanitation services as well as achieve the full realization of human right without discrimination on the basis of gender, age, race, language .religion and other social orientations. The Goal six, places special emphasis on ensuring access to water and sanitation for all. Some targets encompassing this goal include the achievement of universal and equitable access to safe and affordable drinking water for all by 2030. Ghana can consolidate the gains made in access to water by tackling pollution in our water bodies and ensuring that illegal mining is completely halted. As the Board Chairman of the Ghana Water Company Hon. Alexander Afenyo Markin, put it, Ghana might not be able to fulfill the environmental target captured under the target if it not takes steps to curb illegal mining popularly known in the local parlance as galamsey. The Chairman was made the remarks on the 22nd of March, 2019 while addressing a durbar in commemoration of the World Water Day. He mentioned that illegal mining activities has had adverse effect on the preservation of water by the Ghana Water Company to the Ghanaian populace and if steps are not taken immediately to rectify the situation, this year’s celebration hinged on theme: leaving no one behind would be a thing of the past. He cautioned that the revelations should be a matter of concern to the Ghanaian populace as data from various research findings highlights the reliance on water by individuals and industries for various purposes. The GWC Chairman believes that if stringent measures are put in place to curb socio economic activities that may affect our effort in ensuring sustainable supply of water in rural and urban areas, thus galamsey, more people would have access to water and the SGD 6 would be achieved by 2030. He stated, “If we all as citizens come together to ensure that illegal mining is reduced to its barest minimum, GWC would treat its water at a minimal cost and everyone would have access to water. According to the Journal of Water, Sanitation and Hygiene for Development, the poor environmental sanitation across the country is, without doubt, a key contributory factor to pollution of drinking water sources. Only 15 percent of Ghana’s population currently have access to an improved sanitation facility, deﬁned as one that hygienically separates human excreta from human contact and 20% defecate in the open. Again, less than 5 percent of all households in Ghana are connected to piped sewerage systems that are linked to sewage treatment plants (Ghana Statistical Service), while 84% of all public-owned and public-managed sewage treatment plants are reported to be non-functional in major cities in Ghana (MLGRD ). Unbridled disposal of untreated wastewater into watercourses causes surface Water pollution . Moreover, inﬁltration of these contaminants in surface water into the ground or wastewater discharged directly on the ground surface can compromise groundwater quality. This partly explains why despite the tremendous improvement in drinking water coverage countrywide, cholera is still in the ascendency. Ensuring access to safe drinking water cannot be achieved without concurrently focusing on sanitation. There is therefore an urgent need to focus also on improving environmental sanitation.